WordPress comes in two forms, which might seem confusing for those who are new or wondering where to situate themselves in the vast world wide web. The oversimplified explanation of “one is free and one is paid” can be more harmful than helpful because, well, everyone likes free, right, and that’s what we’d gravitate towards if we’re just testing the waters. However, if you dig deeper, it might not be exactly what you’re looking for for the long term. As you gain experience, and thoughts of expansion begin crossing your mind, you’ll start running into limitations on your free website. And when you decide it’s time to make the switch, you’ll be hit with a new bunch of uncertainties: Will all my content transfer over? Can I keep the same theme? And most importantly: how do I switch? Before continuing, ask yourself, what is the purpose of my website? Opening an account on wordpress.com is totally free. In just a few minutes, you’ll have created your account, picked out a nice looking theme from a preset selection, tweaked some settings, and you’re online and ready to post content. WordPress takes care of the hosting, security, backups, maintenance, and offers a bunch of free features such as social media share buttons, traffic statistics, polls and more without the use of plugins. You are given a subdomain—something that looks like www.yourblogname.wordpress.com. The options they offer allow you to do basic design customization, and you’re given 3GB of free storage for pictures and videos. It’s much easier to get the hang of and maintain since most of the moving parts are taken care of for you. 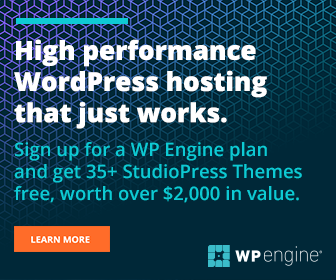 If you require a bit more functionality, there are premium plans available with options to create a custom domain name, to remove all wordpress advertisements on your site, and to increase storage. When your account is on wordpress.com, WordPress owns your website and controls what can happen to it, including deleting it completely if they feel it violates their terms and services. Access to a huge library of plugins which makes setting up your online store or business a breeze. Unlimited storage—helpful when you have a ton of products with pictures to upload, or a resource library of video courses you’re trying to monetize. In contrast, WordPress.com offers monetization options with heavy restrictions. You aren’t allowed to sell other people’s products. The only products you can sell are the ones that you yourself create. You might be able to tell that I’m a bit biased in this comparison—I prefer self-hosted wordpress—but the truth is it depends on your needs. I have used both versions of the WordPress platform, .com when I blogged recreationally about expat life and self-hosted when starting a business. For those who want an outlet with only the intention to post and share with your circle of friends, wordpress.com is a good place to start. For the rest of you, head on over to read: How To Setup and Install WordPress On SiteGround. Nice, useful info right here.